Airport construction contracts can involve billions of dollars. Much of that money comes from taxpayers. As I write this post from LaGuardia Airport, a billboard boldly claims that the new LGA makeover is estimated to cost more than $1,000,000,000.00 – that’s right over $1 billion! We previously successfully prosecuted a corrupt contractor who supplied non-compliant steel components used in the construction of the Miami Airport intermodal center. The Justice Department announced this week that former Detroit Metro Airport utilities manager James Warner was charged with receiving $5 million in bribes. Because these airport contracts involve so much money, the inclination to raid the cookie jar or rip off the airport authority is simply too great for many. Today, its Michigan taxpayers that are taking it on the chin. But Warner isn’t the only one connected to the ever widening airport construction probe. He is the third person indicted and probably not the last. According to a recently unsealed indictment, Warner was charged with conspiracy, federal program bribery, theft from a federally funded program, conspiracy to commit money laundering and obstruction of justice. 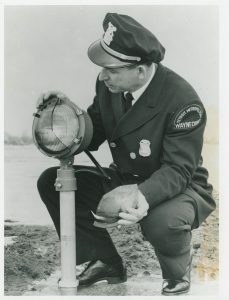 Warner was a manager with the Wayne County Airports Authority, operator of the Detroit Metro Airport. As a manager, Warner’s duties included oversight of maintenance and inspections. The feds say that he had the authority over certain contracts. Those contracts included a contract with Pitrula & Sons, a key paving and water main vendor for the airport. Prosecutors say that William Pitrula, owner of the company bearing his name, and Warner conspired to create phony invoices for work at the airport. Those invoices would “grossly inflate” the amount of work and dollar value of that work. When Pitrula got paid from the airport, he would allegedly kickback some of the money with Warner. Both men profited while taxpayers were left writing the checks. The feds got involved because federal transportation monies help fund work at the airport. Prosecutors say this cozy arrangement allowed Pitrula to get $18,000,000 in payments from the airport and kickback $5 million of those payments to Warner. This form of bribery and theft is unfortunately common place in many government construction projects. But there is more. In a separate conspiracy charge, prosecutors say that Warner tried to shake down another vendor, Envision Electric. They were the company awarded the contract to maintain the airport’s parking garages. Prosecutors say that Warner fed inside information to Gary Tenaglia, owner of Envision. This helped Envision win the lucrative maintenance contract. As maintenance inspector, Warner would sign off on work performed by Tenaglia’s company even if that work was substandard. Warner then demanded a kickback. Media reports say that the feds have already seized $3.9 million from Warner and $7.5 million from an unnamed contractor. Both contractors are expected to plead guilty and cooperate with prosecutors. Warner was just arrested this week and pleaded not guilty. Many readers are thinking this is business as usual in Detroit. It is and in many other cities across the United States. It doesn’t have to be that way, however. We believe that several people knew something was amiss. Yet no one stepped forward. Few do. Some don’t want to get involved. Some don’t want to lose their job and some worry that they might get in trouble themselves for going along with things or lying for their boss. Congress understood this and passed the False Claims Act (“Lincoln Law”) during the 1860’s. Over 150 years later that law is still on the books and has become one of the most important anti-fraud tools available to prosecutors. As noted above, some would be whistleblowers worry that because they have gone along with things for so long, they too can get in trouble. The odds of that happening, however, are remote. The Justice Department is after the corrupt politicians, government employees running these shakedowns and the contractors themselves. They want the kingpins, not the minions. Even if you were a manager, it is better to cooperate early and grab the “get of jail free” card. The alternative is spending your life looking over your shoulder. We can help you find peace of mind by sitting down with prosecutors and insuring you remain a witness and not a target. Ready to learn more? If you are living in Georgia, visit our Michigan whistleblower page. Living somewhere else? Our government contractor fraud page has lots of helpful information as well. or phone (414) 704-6731 (direct). All inquiries are protected by the attorney – client privilege and there is never a charge for a consultation. We have recovered over $100 million for our whistleblower clients and are still just as eager to help the next.